Wash the spinach well under running water. Let them dry before chopping. Chop the spinach and keep aside. Crush the grated coconut with shallots. Keep it aside. Add raw rice and wait for a few seconds. And now add the crushed coconut shallot mixture and fry it well on a low flame. Stir continuously. Add chilly powder, turmeric powder and salt. Add chopped spinach and mix it well with the other ingredients. Cover the pan and keep the stove in simmer mode. Wait for 2 to 3 minutes and open the pan and stir it well. Now keep the pan open and stir occasionally till the stir fry turns dry. Otherwise it will be soggy. 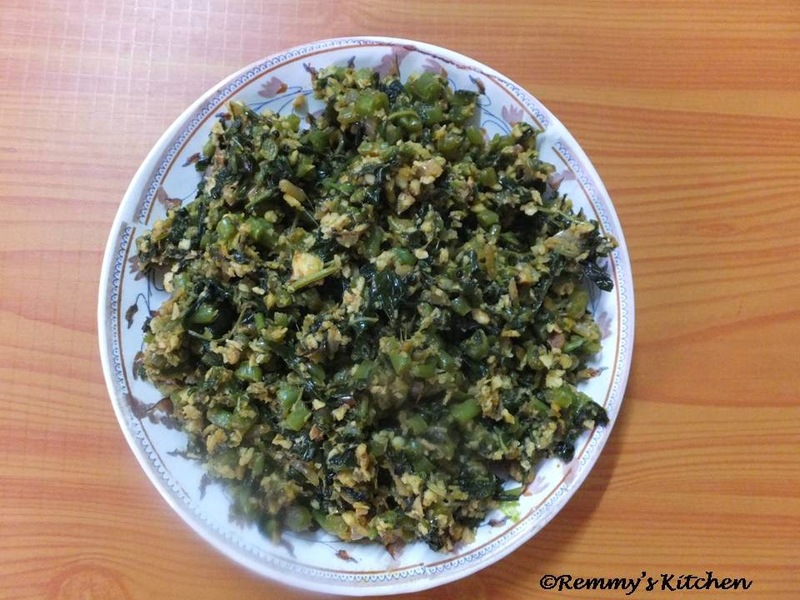 Cheera thoran/keerai poriyal/ spinach stir fry is ready to serve. You can add jeera and garlic to this stir fry. 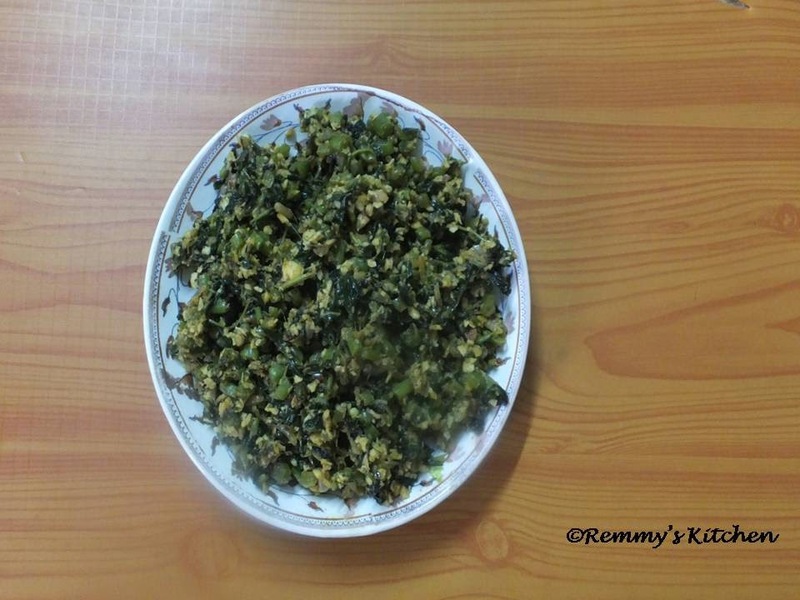 Did you try my Palak dal curry ?? Great side and yes please, spinach is the our fav. healthy thoran.. My fav. All I need is some rice now.